Newton Gilchrist, director of Jesus Christ Superstar at the Keswick Theatre, towers over his production in more ways than one. The first is from his sheer physicality. At 6&apos;4", he&apos;s hard to miss, bounding down the aisle for a closer view of the action. The second is his experience. He has been connected to the stage since his childhood. And his professional credits include roles in two Broadway shows - Camelot and State Fair - in the 1990s. He also played a teacher in the Robin Williams film Dead Poet&apos;s Society (1989). "I am from a teeny-tiny town, Brilliant, Ohio, which is south of Steubenville," Gilchrist said, as his 77 actors continued donning costumes and checking mic levels. "My mother made all of us take dramatics and dance," he said. "She did it so that we would be well-spoken and coordinated. We studied with a woman who had moved into our little town after her Broadway career. She had fallen in love with a steel magnate there and opened a performance school." In his early teens, Gilchrist appeared in summer stock, the tours of off-season productions that brought new York-based shows to smaller communities throughout the U.S.
"I started as a boy soprano," Gilchrist remembered. "But I eventually settled into baritone. I just auditioned and got parts. I beat out 4,000 kids for a role in Bye Bye Birdie with Andy Williams in 1962." As we spoke, one of the company&apos;s young actors approached, holding a white tunic and sash. "There you are!" the boy called. "Since I&apos;m going to be Jesus today, should I wear this?" Gilchrist answered gently: "Yes, the white. The one that&apos;s hanging up. See Kathy... Do you know Kathy? She&apos;s the stage manager." "I work with a lot of kids," he laughed. 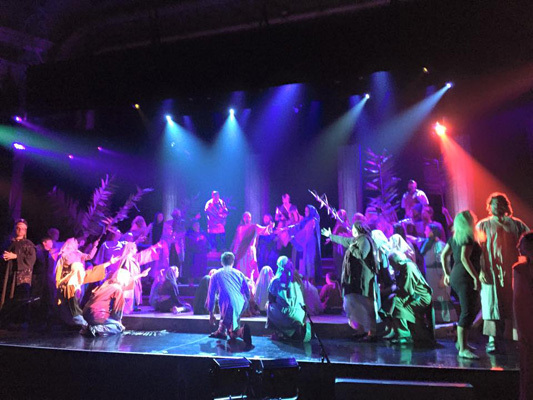 This edition of Jesus Christ Superstar is staged by Midnight Productions, founded by Gilchrist and a business partner, Allan Doak. 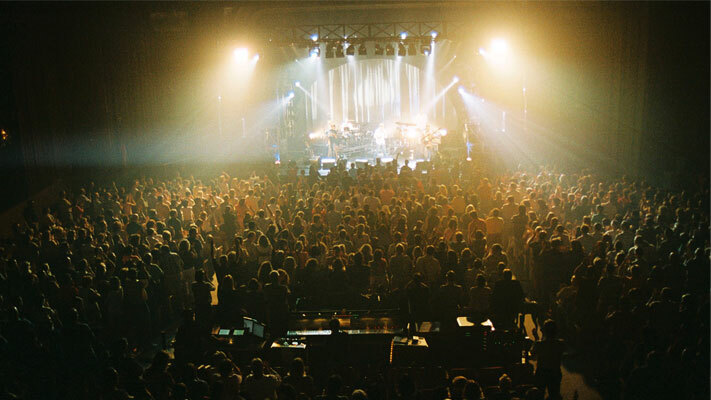 The company specializes in lighting and theatrical effect, making the rock opera a perfect showcase for its talents and abilities. The production has a 26-year history in the area, 24 of which were at the Keswick. "We don&apos;t even really rehearse," Gilchrist said. "We haven&apos;t done this show together in a year, but all we&apos;ll need is this run-through as a refresher, and we&apos;ll be good to go. There are little changes along the way, but for the most part, everyone knows what to do. "Even the music conductor. He&apos;s been with me for 10 years. The orchestra is onstage, so he can&apos;t see at all. But he has a headset on and hears everything. Even when the actors take a breath. The Keswick has a new sound system that we&apos;re very excited about," Gilchrist continued. Onstage, that sound system is being put through its paces. 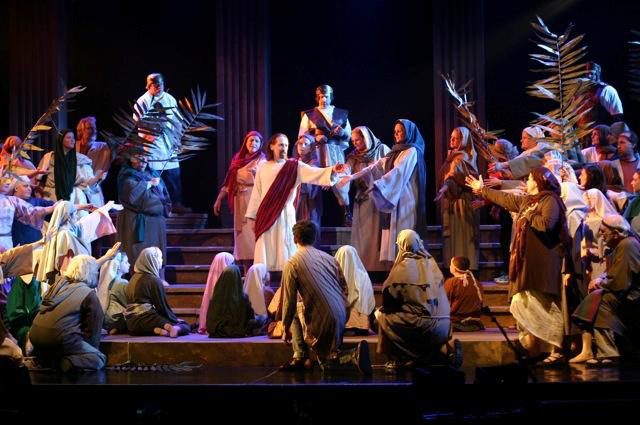 The actors in the principal parts - Jesus, Mary Magdalene, Judas and Caiaphas - are all tuning up, with the technicians at the sound board carefully adjusting for optimal volume, tone and color. "Keep singing," the sound designer directs, as he tweaks. The actor onstage swings into a broad rendition of "If I Were King of the Forest," from The Wizard of Oz. The costume designer snagged Gilchrist&apos;s attention momentarily. A box of guard costumes is missing. "I brought them in two days ago. They were in a white box," Gilchrist explained. "Was the box labeled?" the costumer asked. "What did it say?" Gilchrist&apos;s eyes twinkled as he responded: "Guards." The brush-up rehearsal launched. The opening used sheets of canvas and a silhouette of Jesus to kick off the narrative. As the orchestra navigated the score, Jesus&apos; miracles unfolded in pantomime: The blind see; the lame walk; Lazarus rises from the dead. A procession of soldiers passes by, one wearing a green tee shirt. The box of uniforms is apparently still missing. This particular piece of costuming doesn&apos;t affect the company&apos;s energy and talent, and the familiar score fills the house with its glorious sound. Instantaneously, the powerful tale starts to unfold with expertise and heart. By opening night, the cast will sport period uniforms. But for now, the anachronism is easily dismissed. 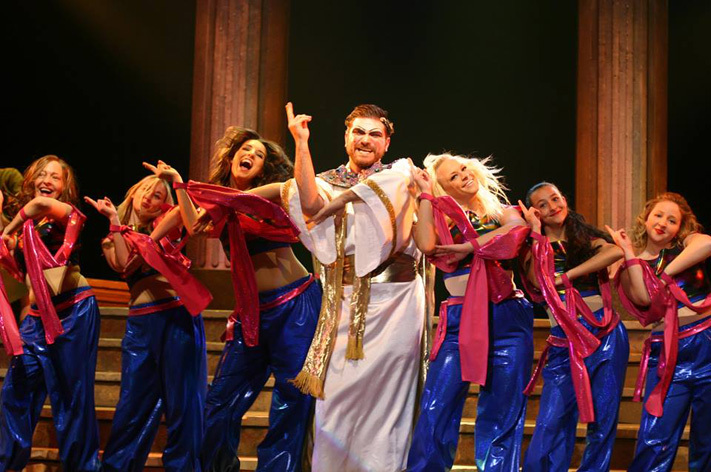 Jesus Christ Superstar, the Tony Award winning rock opera from composer Andrew Lloyd Webber and lyricist Tim Rice, runs March 24-26. The curtain at the Keswick Theater is at 8 p.m., with an additional show at 4 p.m. on March 26. Tickets to this seasonal favorite can be the cornerstone to a full weekend of Easter celebrations. Check out our comprehensive list of things to do and places to stay.